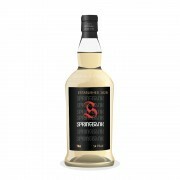 Ok, so Springbank of Campbeltown doesn’t exactly hail from the Mull of Kintyre, but it’s well south on the Kintyre Peninsula – and “as the crow flies” it’s only a mere 10 miles or so from the southernmost tip. This bottle is a bunch of firsts for me: my first “cask strength” whisky, my first Springbank whisky, and, therefore, also my first Campbeltown whisky. Despite not having tried Springbank previously, I was certain, based on correlation with what I know I like in a whisky, that this would hit the mark. Boy did this hit the mark for me! Being relatively new to the big wide world of single malt whisky, and having really only sampled from the usual range of entry level OB’s – I haven’t had the opportunity to try any really old stuff. However, this bottle is just how I imagine Scotch whisky tasted in bygone days. I found this bottle very evocative of another place, another time – I love the journey it takes me on. 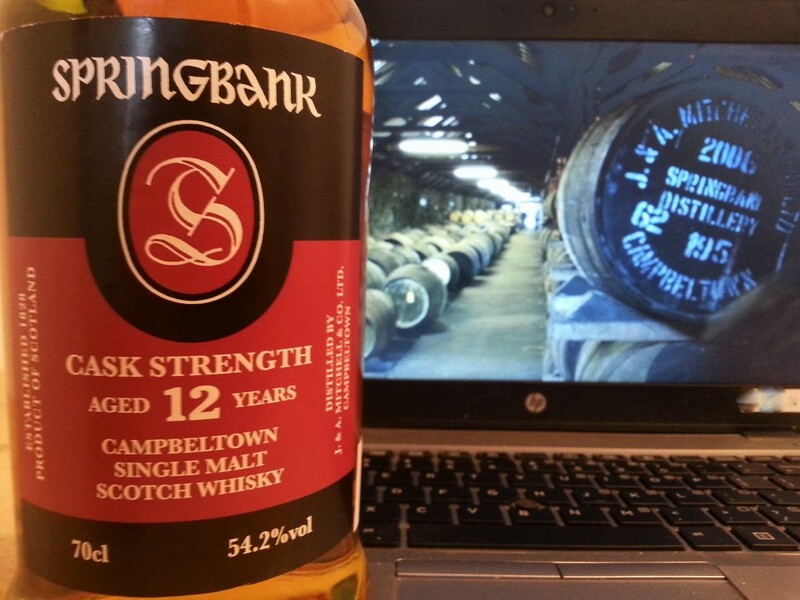 I also love the philosophy behind Springbank. This is part of the reason that they are enjoying a lot of recognition currently. That and they apparently make fantastic whisky! There is no little booklet of tasting notes that comes with the bottle – you’re not told what tastes we are supposed to find within. You even have to do your own detective work to find out that this is batch 14 of the 12 year old cask strength bottlings. Nose: Sherry at the forefront, dried fruits, raisins sultanas. Merging with gentle oak and peatiness. Malt sweetness. Palate: Malt sweetness. Marmalade. Dark sugar, burnt toffee. Fusty (like I imagine a dunnage warehouse) – old books, wet wood and hessian. Salty, brackish. Vegetal peat, a little iodine. Some leather and tobacco leaf. Baking spices, especially ginger – the dried form. White pepper providing additional warmth. Finish: Combination of salty, peaty, savoury notes fading to a mouth coating tobacco smoke finish. Being cask strength, I was expecting the nose to have a bit more punch than it does, and even the palate isn’t overly assertive. I didn’t appreciate how peaty this is until I had a wee dram following on after some Bunnahabhain - the peat is so well integrated rather than being dominant. Now I’ve got a little insight into the Springbank funk that people speak of – it’s quite tricky to put into words but is completely appealing. Highly recommended! Did you try adding a little water to it? I find a few drops work well with Springbank. Also, if you like it now, I suspect you'll like it even more after a few months...if it lasts that long. @Nozinan Thanks. Yes, still experimenting a bit with it - enjoying it neat but playing to see what difference varied amounts of water make. I'm keen to se how it progresses over time - I hope to make it last a while! @Hewie It is a great review. I have also written a review of this whisky., but it is a review of batch 12. I will publish it later on this site. Batch 12 has simularities, but it is not the same. It is all about batch variations. Fun review! I love seeing your impressions of so many "firsts." @MadSingleMalt Thanks. Some online shops will list the batch number with the bottle they are selling so that can be helpful. However, the website you linked seems to be the go-to for confirmation of batch numbers. So far, all of the batches have had different %ABV so that typically leads you to the batch number with a simple google search. The latest batch (the one reviewed here) is also the first with the new label. I must say I'm not much of a fan of the new Springbank labels - but we mustn't judge a book by its cover! @Hewie The label - what's on the bottle - is less important than what's in the bottle. And judging by your score this ugly duckling is a Swan in disguise. I don't trust online shops to get it right. You'll see on that blog, for example, that this Ben fella corrected batch info that was originally on some shop websites, including Master of Malt. And it's too bad that blog stopped staying up to date. Their latest batch is 10, while you're up to 14 here already. The batches all seem to be good, so it doesn't matter a whole lot—except that typically I want to buy a new batch instead of repeating a previous batch that I already had. And at least once, I was trying to track down a specific batch that Serge described in the most delicious terms possible. This link list all the batches starting with batch 1 Jan 2010, very helpful. I have been wanting to pull the trigger on a SB 12 CS for a while, batch 14 and 15 available in DC near me but at $100 it's a tough call. Has any one had batch 15. @rmunson32 , I have one open right now, but I don't know what batch it is. They're all good. Go for it. For Springbank 12 CS (actually, I think this applies to nearly all the batch-labeled products I'm familiar with), the batches don't matter much unless you've had a few already and you get so interested or invested in the line that you want to start comparing them side-by-side. @MadSingleMalt your right haha, I need to pull the trigger, hopefully my boss i.e. Wife won't mind since I just picked up a 12yr Lagavulin. @rmunson32, you are saying that the more whisky you buy the more approving your wife is of your buying more? Good deal! 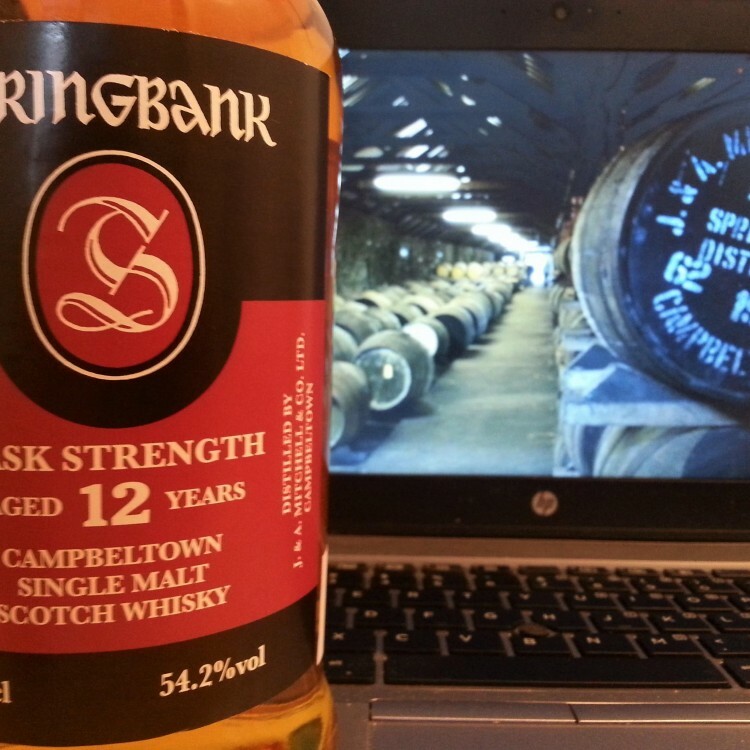 @rmunson32 , in comparison to the Lag 12, the Springbank 12 is a bargain, right? It'd be stupid not to buy it! @rmunson32, I offer you an "ouch" for you local price on the Springbank. I think $80-85 is the normal going rate in most (US) places these days. But you got a relative bargain on that Lagavulin price! Looks like your local shops didn't get the memo from Diageo that the price is supposed to be 40% higher now than it was a year or two ago. @MadSingleMalt, you are lowballing the price over there in Madison. 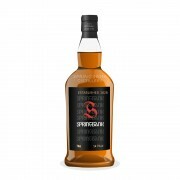 Wine-searcher currently gives lowest public-ad US price for Springbank 12 CS at $ 84 plus tax, with a US average of $ 93 plus tax. Maybe you need to buy more of that one too. @rmunson32, wife getting upset with 11 bottles in the cabinet? My wife didn't start to object to new purchases until we had about 300 bottles in the cabinet. Stressing her ownership of the booze is a winning plan. @Victor, wow—I didn't realize the average price was $93! Not that a $10 difference is a huge deal either way, but it's good to know my local shop has a relative value on it. This is the same (and nearly only) place by me that stocks the interesting Campbeltown whiskies beyond the basic Springbank 10 and Longrow Peated. @MadSingleMalt sounds like an interesting solera bottle. I'm always a bit envious when I read of people bringing back bottles from the living cask at the Cadenhead shop. Out of interest. the best price here for the Springbank 10 is $90 and the 12 CS is $100, which is only about a 10% difference. I found that unusual - is that typical in other places? @Hewie - will be adding this one to my list - thanks! I had to have a watch of 'Macca' singing this one after reading . . . now it's stuck firmly in my head and i can feel my fingers itching towards Band on the Run for release! Apologies for a random one but it fits the review. @Hewie, those prices are much closer to each other than is normal, I think. I bet most people familiar with them both would choose the 12 CS nine times out of ten! @Hewie my wife took me to Scotland this past June, the first part of our trip was through the gorgeous winding roads along the shore to Campbeltown with a Cadenhead warehouse #9 tour. We had the whole place to our selves, the standard tasting of 8 valinched different cask turned to 11. Amazing so hard to pick bottles to buy. You can easily get obsessed to everything Cadenhead and the Springbank family! @rmunson32 now that sounds like a very memorable experience. I bet you think about that when you're dramming sometimes! @Hewie definitely do! You always remember that wonderful dunnage aroma you can only get from 1,000 of cask. Warehouse tastings are like drinking with the gods! Lagavulin warehouse tasting is the star on top of the Christmas trees of Warehouse tastings, totally next level amazingnrsd, I could go on and on with stories from there; but visiting the distilleries gives you another level of appreciation. That's why kilchoman is now one of my favorites! I looked at my bottle of 12YO Cask Strength. Nowhere do I see a batch number. Where did you find it?